VOLUME and LACE present the second Resonant Forms festival for three days from September 11 through 13, 2015. 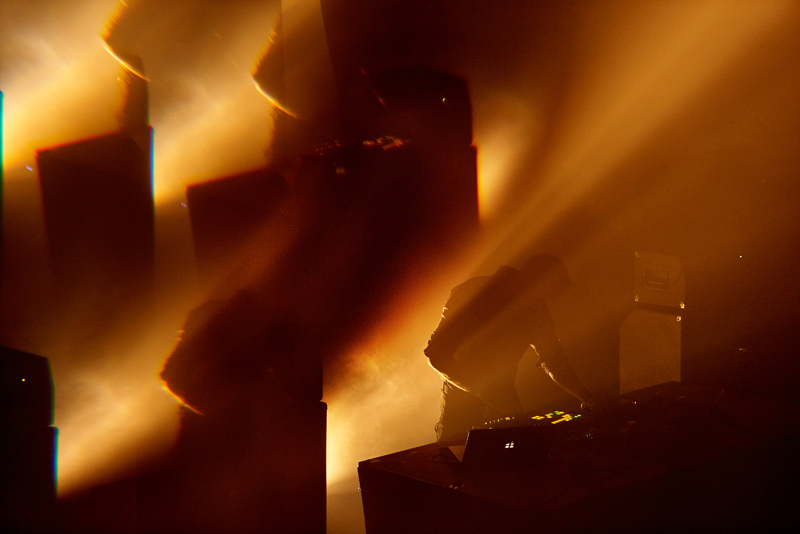 This year’s festival will present unique performances by a range of artists in the emergent fields of experimental electronic music, sound, and performance art. The artists featured in this festival represent varied approaches to the interplay of artistic mediums, and take risks not frequently observed in traditional creative modalities. Resonant Forms will take place inside i have never been here before, an immersive installation by Los Angeles based artist Rafa Esparza. The artist has transformed the architecture of the gallery into a space absent of corners, unified by curve, and made out 5,000 adobe bricks that he has produced with the help of his father and extended family members. Prioritizing utility over aesthetics, adobe construction often reflects local environmental and cultural needs. Within the project—and entering the gallery—adobe serves to question the established value systems of the exhibition space. i have never been here before was organized by LACE Assistant Director Shoghig Halajian. Resonant Forms opens with an evening of performances by three artists associated with acclaimed UK experimental sound label, Touch. Organized by Touch label head Mike Harding, this evening features a rare performance by Simon Scott, a multi-instrumentalist, sound ecologist and drummer (formerly of Slowdive) from Cambridge, UK. The aesthetics of active listening and the subjective distinction of compositional materials and sound timbres are predominant explorations in his work. Glasgow based sound artist Bethan Parkes explores the inherent dimensionality of sound through multi-channel/ambisonic compositions and installations. Jen Boyd is a sound artist and curator based in Northern California who works with field recordings of the natural world, forgotten spaces, and the environment. The evening will also feature a DJ set by Mike Harding. Harding has been running the audio-visual label Touch for 30+ years and in this period has acquired much experience and information on disseminating cultural sounds to a wider audience. Since its first release in 1982, Touch has created sonic and visual productions that combine innovation with a level of care and attention that has made it the most enduring of any independent company of its time. In celebration of their 15th Anniversary, Australian music label Room40 will present performances by Lawrence English, Alessandro Cortini, Steve Roden, and film projections by Paul Clipson. Lawrence English, who founded the label, is a composer, media artist and curator based in Australia. He investigates the politics of perception to create works that ask audiences to become aware of that which exists at the edge of perception. 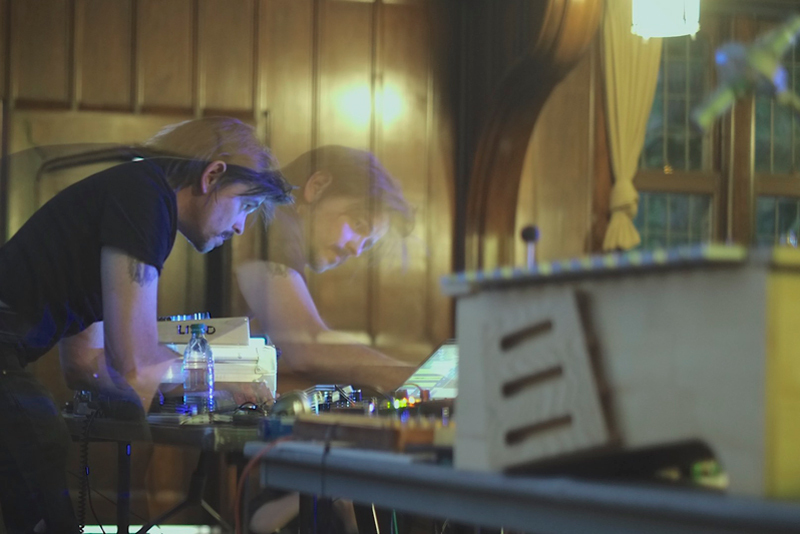 Alessandro Cortini is an Italian electronic musician known as the touring keyboardist for Nine Inch Nails from 2004 to 2008 and again from 2013. As a solo artist, he released the three volume work, Forse, on Important Records. His most recent release, Risveglio, was released on Hospital Productions this year. Paul Clipson is a filmmaker who often collaborates with sound artists and musicians on films, live performances, and installations. His Super 8 and 16mm films aim to bring to light subconscious visual preoccupations that reveal themselves while working in a stream of consciousness manner, responding to and conversing with the temporal qualities of musical composition and live performance. Steve Roden is a visual and sound artist from Los Angeles. Roden’s working process uses various forms of specific notation and translates them through self invented systems into scores, which then influence the process of painting, drawing, sculpture, and composition. Resonant Forms will conclude with a series of performances organized in collaboration with LACE Assistant Director Shoghig Halajian. For the closing night of both the festival and Esparza’s i have never been here before, these artists will explore notions of race, identity and belonging in response to the installation. 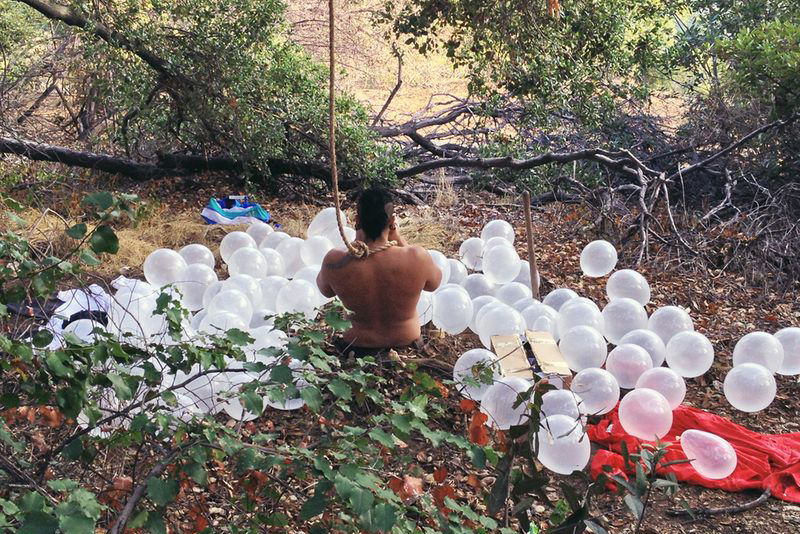 Rafa Esparza is a multidisciplinary artist whose work ranges in medium from installation, sculpture to drawing, painting, and most predominantly live performance. Woven into his many bodies of work are his interests in history, personal narratives, and kinship. Raquel Gutiérrez is a film actor, curator, publisher, playwright, arts administrator, and community organizer. She writes about art, culture, music, film, performance and community building and creates original solo and ensemble performance compositions. Nikki Darling is a third generation Angelino on her father’s side and Neomexicano on her mother’s. She is a feminist, womanist, transcendentalist, Unitarian Universalist. She believes in Henry David Thoreau, Elizabeth Taylor, Gloria Anzaldua, and Joseph Campbell. She believes in people, and she believes in you. The beauty of field recording is that it can happen anywhere. This September, join Lawrence English as he casts his ears towards Hollywood Blvd. Hollywood Blvd. is one of the iconic visual landmarks of the city, and it also happens to contain a diverse sound world. Join us as we explore various “sound locations” in the neighborhood, collect recordings, share techniques/methods and discuss the ways in which field recordings can be used in sound art and music practices. You don't need to be a skilled field recorder to attend - this is for everyone, from the curious first timer to the well-experienced sound designer. This field trip will cover not just technical aspects, but philosophical, aesthetic and conceptual approaches to working with environmental sound. Founded in 1978 by a small group of artists, LACE (Los Angeles Contemporary Exhibitions) has become an internationally recognized pioneer among art institutions. Uniquely positioned among commercial galleries and major art establishments, our nonprofit organization provides a local venue that advocates and exhibits innovations in art-making. By encouraging experimentation, LACE has nurtured not only several generations of young artists, but also newly emerging art forms such as performance art, video art, digital art, and installation-based work. LACE has presented the work of over 5,000 artists in over 3,000 programs and events, which have provided the impetus for dialogue about contemporary arts and culture for over 30 years. VOLUME functions as a catalyst for interdisciplinary new media work through exhibitions, performances, events, lectures, and publications. Concentrating on the nexus of music and visual arts practices ranging from the avant-garde to popular culture, VOLUME offers unique opportunities for artists to create and present hybrid works. VOLUME is a project of the Fulcrum Arts’s EMERGE Fiscal Sponsorship Program.